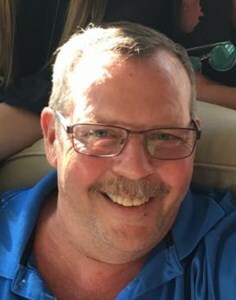 Mark Thomas Standafer, 57, of Jeffersonville, Indiana, passed away on Saturday, February 9, 2019. Mark was a proud veteran of the United States Air Force. He enjoyed spending time with his family in Mount Pleasant, South Carolina. Mark was a faithful member of Northside Christian Church. Through a twelve-step program, he was able to achieve 19 years of continuous sobriety. Mark is survived by his loving wife, Betsy (Hoppes) Standafer; children, Nick Standafer and his wife, Abbie, Beth Standafer and Marcus Standafer; mother, Barbara (Cope) Standafer; grandchildren, Ava, Reece, TJ, Zach and Kaleigh; 2 brothers, and 5 sisters. Cremation was chosen following Mark’s wishes. A Memorial Gathering will be from 2:00 p.m. to 6:00 p.m. on Thursday, February 14, 2019, at Newcomer Cremations, Funerals & Receptions (3309 Ballard Lane, New Albany). His Celebration of Life Service will follow at 6:00 p.m. at the funeral home. Memorial contributions in Mark’s name can be made to the Robley Rex VA Medical Center (800 Zorn Ave, Louisville, KY 40206) or Kindred Hospice (391 Quartermaster Ct, Jeffersonville, IN 47130). Please consider sharing a memory of Mark or leaving a special message for his family by completing the "Share Memories" section below. Add your memories to the guest book of Mark Standafer. I worked with Mark for a few years and a great man and a good friend whose heart was bigger than he was. I'm so sorry Betsy for your loss. Mark meant a lot to me,so easy to talk to and slow to judge. We in the program may not get to see each other as often as we like because our journey changes, but like you, Mark and many of us our purpose stays the same always guided by someone greater than ourselves. Mark will be missed,but he wiil be waiting for the rest of us for the big meeting upstairs. God bless you and be the shoulder to lean on, along with all of us during this time. I am so very sorry for your loss. Please know that you and your family are in my prayers. Please accept my sincerest condolences on the loss of your husband. I will continue to keep you and the family in my thoughts and prayers. Betsy I am so, so very sorry...my heart hurts for you..
Betsy, my heart hurts for you and our entire family, he rests in peace now and I pray that we can all find solace with this. My fondest memory of both you and him and TJ coming down South for the Special Events especially in the summer. Always a good time. We are going to miss sitting with you both on Moms back patio!! Oh and lets not forget the coffee!! Dear Sweet Betsy, my heart breaks for you. I, like Brenda, remember watching Mark chase you around that year at Thunder. We had a front row seat to your beautiful love story as it developed, and what a true love story it was! I will keep you in my prayers and cherish all my memories of Mark. He was a kind and gentle spirit and will be missed. Your wedding, softball, your pool and many more. The day he chased you around thunder ???? Betsy, we are so very sorry & we will be sending prayers.....God Bless you Betsy & your beautiful family! Mark was always so kind to Austin when he used to come hang out with TJ. I remember he always had a smile on his face. Sending prayers of peace and comfort to his family and friends. Mark always had a smile and a kind heart. I will miss him, Mark helped me with my car and helped me with my sobriety. A wonderful man. I will miss you so much. May God. Keep and. Bless you.